Everyone falls into 1 of 4 personality types and knowing yours could make you happier and more successful. During her investigation to understand human nature, explored most recently in her bestselling Better Than Before, Gretchen Rubin realised that by asking the seemingly dry question 'How do I respond to expectations' we gain life changing self-knowledge. 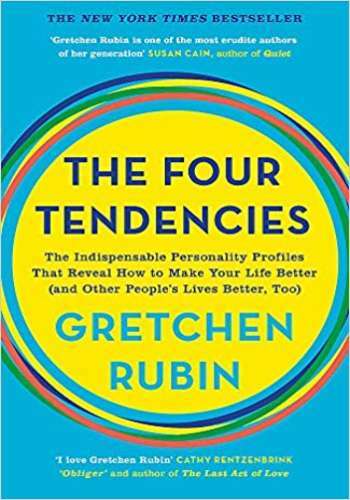 She discovered that based on their answer, people fit into Four Tendencies: Upholders, Questioners, Obligers, and Rebels. Our Tendency shapes every aspect of our behaviour, so using this framework allows us to make better decisions, meet deadlines, suffer less stress, and engage more effectively. More than 800,000 people have taken her online quiz, and managers, doctors, teachers, spouses, and parents already use the framework to help people make significant, lasting change.